Tanz der Vampire was the musical my little sister was mad about and my best friend liked quite a lot. So, why not give it finally a try when it returned to Hamburg? 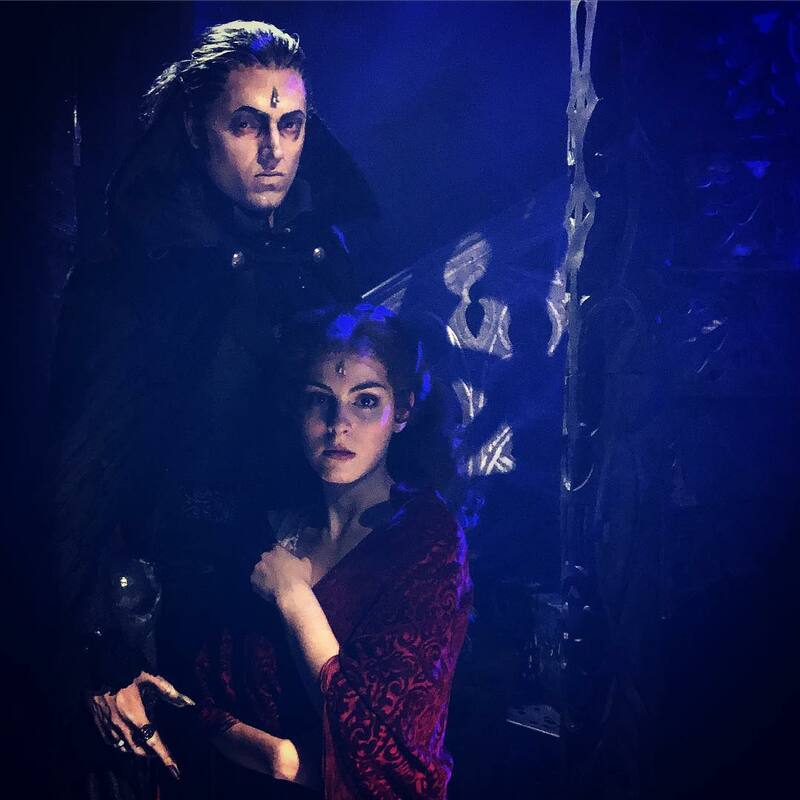 And wait a minute – what a gorgeous music, what a fantastic, clever production, what a great cast… And who the hell is this guy with the mesmerizing baritone voice and this perfect characterisation of Count Krolock?! This guy is Jan Kříž. 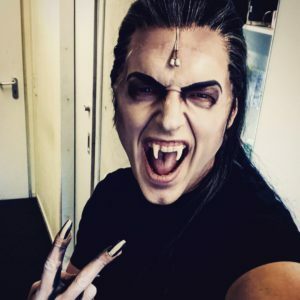 In Cologne, the next station of the current Tanz der Vampire tour, just before his last performance as Count Krolock, he was so kind to talk with me about musicals, operas, and his career in both genres. Jan Kříž is a successful actor. 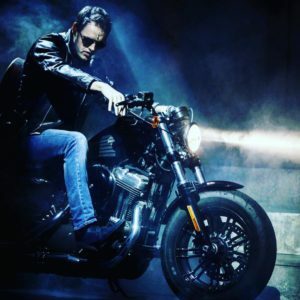 In the Czech Republic, his native country, he is well known for appearing in many different musical productions, varying from original Czech productions to internationally known shows like Grease, Sugar (Some like it hot), Saturday Night Fever and Rocky. He won the Ceny Thálie, the Czech theatre award Thalia, twice – in 2012 for his interpretation of Danny in Grease and in 2015 for his performance in Děti ráje (Children of paradise). And after venturing the step to leave his native country and to face the uncertain by performing in another country, his fanbase in Germany has grown with every performance of Tanz der Vampire. So, Jan Kříž attended a high school for toy design and finished his education for set design in Prague. During his studies, he did some performances, not only in theatre productions, but also in musicals. In set design, however, he has been equally successful with various operettas and ballets as well as opera productions including The Flying Dutchman, The Abduction from the Seraglio and of two of his favourite operas Rigoletto and La Bohème. More recently he developed the scenery for Orpheus in the Underworld and for Noc na Karlštejně (Night at Karlštejn), a musical comedy about emperor Charles IV, in which he currently also performs together with his wife, the actress Marie Křížová. His popularity at home doesn’t come from this TV show only. “Musical is very popular in the Czech Republic. We have a lot of musicals.” He explains that when one would be doing musical on high level in his country, he or she would easily become known due to the popularity of the genre. Despite the success, in 2017 Jan Kříž decided to tread new paths. It was not easy, he tells, but after a visit of Rocky in Hamburg and the collaboration with stage director Christopher Drewitz for the Rocky production in Prague in 2016, he chose to give an audition in Germany a try and was accepted as Cover for Count Krolock. “It was a lot of coincidences and it was a hard decision for me to do it, because I needed to cancel a lot of things in Prague.” Back then, he was playing in ten or eleven musicals at the same time. Despite the feedback by the audience that the Count suits his accent well, Jan Kříž is determined to further improve his skills in the German language. “I don’t want to learn German or work on my accent because of Krolock. I wanted to play Krolock one year. Some people told me not to lose your accent, to keep your accent for this role. That’s true, but it’s not my point.” He thinks that it is a very hard balance from having an accent to having people trust one to know the language. “The point on stage for me is now that people trust me that I am used use that language, that I am absolutely understand what I am singing and trust me that I am fluent in this language.” In further improving his German however, he strikes a new path by asking his fans to support him via Skype sessions. So, what’s next? “I will do a new show in Prague. I will do a new show in a municipal theatre in Czech Republic.” He is in talks about a new opportunity in Germany, which would be very interesting for him. Information about upcoming events is available his Czech website www.jankriz.com or on the German version www.jankriz.de. 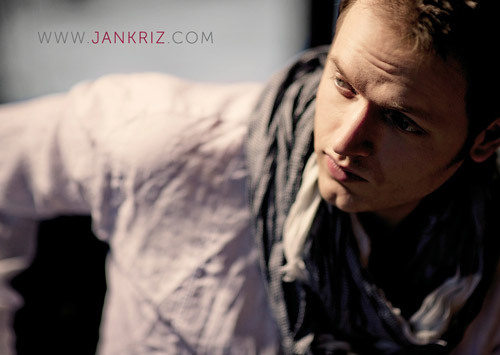 In addition, Jan Kříž runs his own Instagram account @jankriz_official. If he won’t return to German shores so fast, no problem, Prague is always worth a trip. Whoever likes musical, shouldn’t miss this great mixture of a magnificent voice and sophisticated acting.